Between the grace and rhythm of oldstyle typefaces, with their serifs inspired by the pens of calligraphers, and sans serif typefaces, with their uniform strokes and modern look, there are several other groups of type designs. One of the most popular, and most useful, are the square serif typefaces, also known as Egyptians or slab serifs. A lot of people tell me they can’t tell the differece between one typeface and another, but you won’t have any trouble recognizing square serif typefaces. Like oldstyles, they have serifs, and their serifs are even more pronounced. And like sans serif typefaces, they usually have uniform stroke weights. You might wonder why these designs are called Egyptians. The term derives from a fad for everything Egyptian in the early nineteenth century, following Napoleon’s Egyptian campaign. Apparently typefounders jumped on the bandwagon, and called the new square serif typefaces used for advertisements “Egyptian” and the name stuck, except in England, where they already had an “Egyptian” typeface. They used the term “Antique” instead. There are four distinct varieties of these typefaces, each with a different origin. Clarendon—This famous British typeface has more varied serifs than the usual slab-serif typeface. You might be familiar with it from signs like this in the National Parks. Note that Clarendon has variation in its stroke weights, one of the ways to recognize it. Neo-grotesque—These typefaces are characterized by even stroke weights and plain serifs. The letterforms work well as sans serif styles also, and are modeled on the Grotesque typefaces of the early part of the twentieth century. Typewriter—Yep, the plain old typewriters that are still in use almost always use slab-serif typefaces, which are highly legible and generally simple letterforms. The most common, of course, is good old Courier, but typefaces like American Typewriter, probably the most graceful typewriter-style square serif, are also derived this way. Some other notable square serif typefaces are Memphis, Serifa, and the graceful, transitional typeface Chaparral. Each of these type designs shares in the character of the square serifs: they are solid, strong, full of purpose, powerful. What they trade in gracefulness they make up in emphasis. Square serif typefaces give an air of solidity and stability to your design. They blend easily with sans serif faces. The more graceful square serif fonts can be used for body copy, and in their bolder variations make impressive display fonts. Sometimes even one letter of a square serif font can be powerful enough to represent an entire brand, and square serifs are often used to convey stability in the corporate world. If you haven’t tried square serif fonts in your book designs, give them a try. To get started, here are some free fonts you can download today and use for experiments. These are all from the useful FontSquirrel.com site for free fonts. There’s almost no limit to the ways you can use square serif typefaces. In their light weights, they have a grace and purity of line. In their heavier weights, they communicate density and power better than any other fonts. One of the most enjoyable parts of graphic design is trying new fonts and finding new ways to present valuable material. Although I recommend old style typefaces almost exclusively for book text, the display elements in books—title page, chapter and part openings, opening pages of front matter and back matter—are wide open for experimentation and invention in communicating your message to your readers. It’s in that role that square serif typefaces really shine. Get to know one today, you’ll be glad you did. Children’s book (Grades 4-8) with short title: “Prairie Hopes.” Cover shows a sod house with wild flowers in front. The title will be on a blue sky with clearing clouds. Can you suggest a few fonts that would be appropriate for a western theme? and also could you point me to some websites that easily show how my title would look in a font? (I especially like fonts with serifs). Try fontsquirrel.com, which has hundreds of free, high quality fonts. Once you select a font, go to the “test drive” tab and you can type in some text to see what it looks like. Hi Joel, I downloaded ChunkFive, opened the zip and my MacBook Pro placed the font in something named “Font Book.” My question is: how on earth do I get to use anything in that book? If I select text in my MSWord manuscript file, I cannot see how to select any font outside of the offerings under “Format” & “Font” tabs. ChunkFive also does not appear in “Font Collections.” Sorry to have to ask such a seeming stupid question. Font book is the default font handler on the Mac. If you double click the font file, it will open in Font Book. In the bottom right of the window showing the font sample is a button that says “Install font.” Click that and it will show up on all your programs’ font menus although for some you may need to restart the program. When in MSWord, I’ve double clicked about everything I can see labelled “Font,” unfortunately to no avail. Specifically, what do you mean – double click the font file? Stanley, you need to find the file you downloaded, and double-click on that. If on a Mac, it’s likely to be in your “Downloads” folder in the Finder. Thank you Joel for a timely reminder. I am engaged in my own eBook cover design and knew there was something lacking. I’ve had play with Rockwell and like the result. I really enjoyed this typography feature; a refreshing change of pace to (temporarily) escape from the usual issues like writing, self-publishing, and writer’s blog. I also enjoyed Toni’s question and your reply. On great, long-lived blogs like yours, it’s often a toss-up which is more informative; your posts or the comments! Thanks for opening our minds to new possibilities, be they publishing format, content, marketing, or design options! Roger, as usual you are the most observant of readers. I find the rhythm of the blog as important as any other element, although I’ve never heard it spoken about. But if you blog enough, you get a sense for it. Typography is a life-long interest of mine, and I expect to be writing about it for some time to come. I’ve been learning from you posts on fonts. Many thanks. I’m trying out fonts on my ebook cover and liked the dynamic look of Hobo. Also, the curves of the letters work well with the curving branches of dead trees in my cover image. Then I ran across some opinions about Hobo that give me pause–that it imparts a friendly, playful mood. And that’s not the mood I’m going for, because my book is mystery/suspense. What do you think about using the Hobo font for this type of book? Glad you’re enjoying the articles, Toni. Hobo is generally associated with lighter fare than mystery or suspense, and might strike a discordant note for people who have seen the typeface used that way in the past. I don’t think I would use it for a thriller. That’s not to say it couldn’t be done, but there are so many typefaces that might be easier to work with for your book I would encourage you to experiment and also look at other thriller covers to see what fonts the designers are using. That’s what I do. Thanks so much for the reply, Joel. 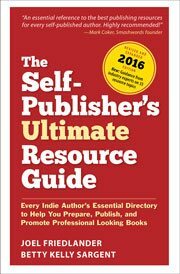 I’m new to all this and really appreciate the generosity I’ve been finding from experts on various ebook topics. I’ll do some experimenting with other fonts, as you suggest. By the way, any suggestions of a good font that would show up in grayscale thumbnail? Toni, “grunge” typefaces are all the rage right now for thrillers, and I can see why. Nothing will do “gritty” quite as well. Size and contrast are what matter when the covers get very small, like they do in online searches. If you like, post the cover and I’ll give you some feedback. Here’s my working draft. I was going for that gritty tense mood, and something simple and legible enough to show up in thumbnail grayscale. The book is about forensic geologists tracking radioactive waste in Death Valley. Ooops, the image didn’t load. I’ll try to fix it…. Ah, thanks! I really appreciate your help on this, and look forward to hearing your feedback. Toni, first off, this is not grayscale, because in grayscale, everything is black and white and gray, and there would be no orange. I can see why you chose Hobo, but take a look at Dirty Headline for the title and used a plainer font for the author name, just a thought. Thanks Joel for the input. I’m going to try your suggestion of Dirty Headline. Will also check out the square-serif fonts in your post. Any thoughts on the desert image? Well, it looks a bit flat and “arid” but I guessed that was by design. Think about this, though: most people read novels because they know they will identify with a character in the story. It’s the people and their stories, their challenges and disasters and triumphs that move us. None of that is represented on your cover. That doesn’t mean it’s not well done, but it’s something to think about. Have you really communicated the tensions or drama or tone that’s at the heart of your story? Good point, regarding the people and their challenges. Since this is an ebook–and since its got to look right in grayscale thumnail–I was trying to minimize the number of elements. I chose the desert image, hoping for a feeling of threat. The rad symbol, to me, is the key, and I’m thinking of enlarging it and haloing it with a radioactive yellow. Hate to lose either element, but adding one more–a character–might make it too crowded? I am a long time fan of your writings and I love to read your blogs. Could you please throw some light on the subject – is ebook cover design significant when it comes to kindle ebooks? This may be a blog posting appreciated by only a handful of readers, but it’s good to see attention being paid to the manly and meaty square serifs, instead of the usual femme and frilly serifs on many faces. Rockwell has become one of my “official” typefaces, used on some of my early books’ covers and many of my title pages. IBM’s typeface woud be instantly recognized as IBM’s — even for just an I, B, or M — or for the letters “HP.” In 1990, IBM scientists produced the company logo with strokes just one atom wide: http://www-03.ibm.com/ibm/history/exhibits/vintage/vintage_4506VV1003.html. The “M” has some junk in it, and one sloppy serif, but the “I” is perfect, in a face much smaller than what we see on the back of credit cards or on car-leasing commercials. I can see that Rockwell would be appealing to you Michael, it has similar strengths. You should check out the free Museo and ChunkFive, they are a lot of fun in the right place. Thanks very much for the recommendations, Joel. Chunkfive seems so close to Rockwell, I might not use it. OTOH, I _love_ Museo, particularly the ucase U and M, the extended “top hook” on the C and S, and the animated lowercase i. The face seems like Rockwell–having fun, and I think I’ll use it very soon. I haven’t felt like this since I fell in love with Korinna nearly 40 years ago.